Develop a culture of interactivity by using student response clickers, document cameras and interactive whiteboards within the classrooms. Create a culture and climate of technological empowerment and success for all students by implementing smart, student driven technological solutions in the classroom. Research has shown again and again that conceptual attainment can be greatly enhanced by student interaction with technology. Mobile interactive whiteboards and interactive projectors allow multiple students to simultaneously manipulate and annotate directly over lesson content, significantly enhancing the culture of interactivity and student engagement in a classroom. 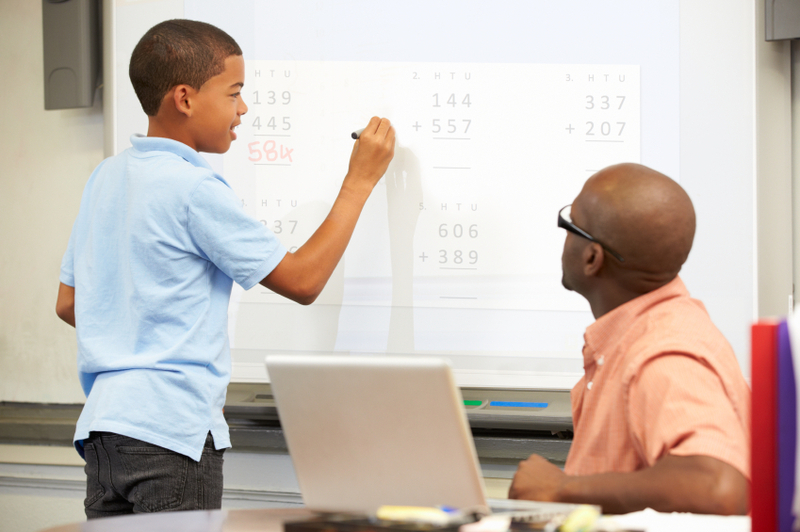 These technologies are also whiteboard marker safe, adding functionality and flexibility for the teacher. With individual response systems aiding in the participation of every student, teachers can expect active engagement to skyrocket. Low-cost student response systems and software allow students to respond using their own devices in a controlled environment creating confidence and security in a BYOD (Bring Your Own Device) environment. Response data can be viewed instantly, making class discussion and student interaction more engaging and accurately assessed. Interactive polling software renders data in a variety of formats, allowing teachers to disaggregate and present data in real time. Student responses are presented immediately, allowing for feedback and valuable discussion. In addition, document cameras allow for educators to display both flat and dimensional objects for the class easily and efficiently, allowing instructors the ease of zooming into visual science content with exceptional clarity in HD quality or simply providing a ?document projector?, vouchsafing active engagement for all classroom participants. The benefits of allowing students to utilize technological elements in the classroom are hard to ignore! Educational experts agree that increased student focus, accountability, and motivation result from allowing students to drive their education using smart, intuitive technological solutions. Such usage not only allows students to work at their own pace, but prepares them for a lifetime of using technology in relevant scenarios.